Total vacancies: - 69 Post. Age Limit :- 27 year as on 01.01. 2018. 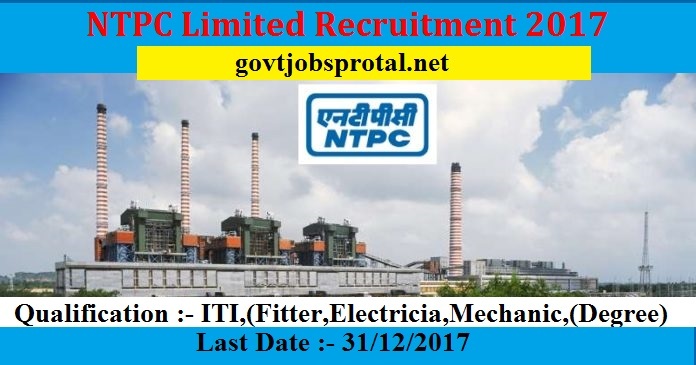 Four land oustess of NTPC- Lara upper age limit is 37 year as on 01/01/2018. 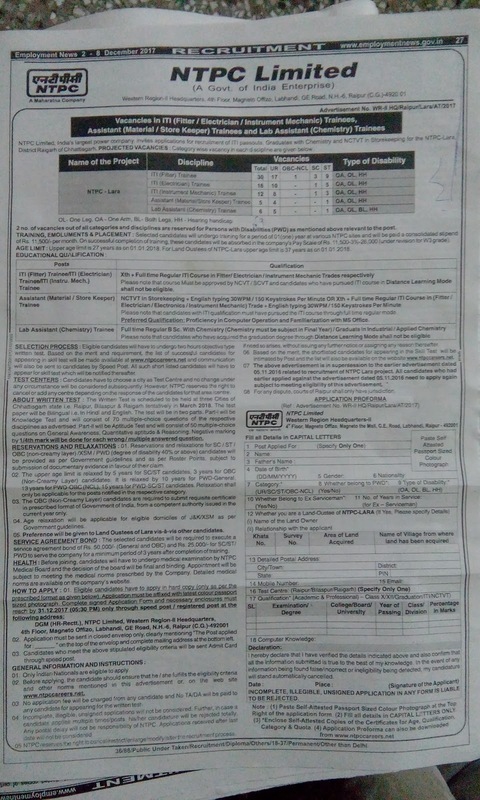 1).Full time Regular ITI Course in Fitter/Electrician/instrument Mechanic Trades respectively. 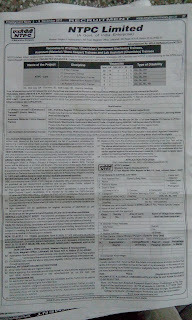 Eligible candidates will have to undergo two hours objective type written test. 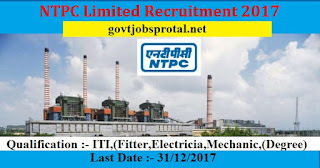 Based on the merit on the merit and requirement, the list of successful candidates for appearing in skill test will be made available at www.ntccareers.net communication appear for skill test which will be notified thereafter. Sized photograph. Complete signed application from and necessary enclosures must reach by 31/12/2017 Only through speed past /registered pst at the following address. (You will get more information in employment News paper dated on 2/12/.2017 Page no.(27).) visit the official website for more information’s.